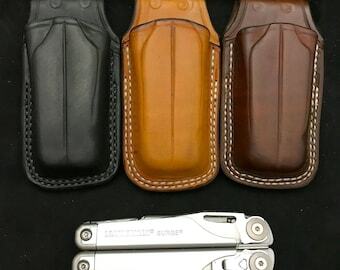 *CASE ONLY-- LEATHERMAN CHARGE NOT INCLUDED! This item is a custom leather open top case/sheath for the leather man charge! - Formed to fit (friction retention)! 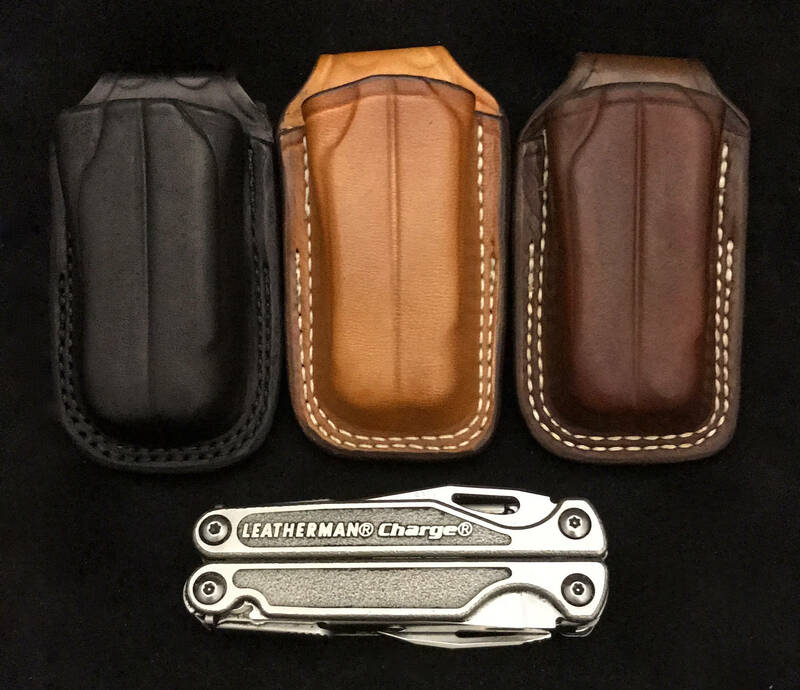 This product is built to provide easy access to your tool, but still ensure that your Leatherman Charge is secure in its case! Excellent quality; superb fit. It shipped on time and arrived quickly. Very impressed with the Nay product line! The tool fits and stays in really well. Quality of work and finishing is excellent. Got a custom color combo with no extra price. Replies to queries were quick and the service top notch over all. Highly recommended!